Dr Michael Lange discusses Omega 3 , Astaxanthin and Non denatured whey protein concentrate for dry eyes. Dr Michael Lange has been involved in nutritional eye care for over 20 years. He has also been involved in Research and Development of nutritional supplements for the eye care industry. Dr Michael Lange is an Optometrist as well as a Certified Nutritional Specialist and he is the founder of Lange Eye Care and Associates , The Lange Eye Institute and Fortifeye Vitamins. In 2016 The Lange Eye Institute became a ” Dry Eye Center of Excellence” . On a daily basis Dr Lange discusses nutritional supplementation, dietary changes and life style changes to his patients with macular degeneration and dry eye syndrome. The typical patient Dr Lange sees is 78 yo with macular degeneration, glaucoma, dry eyes and a host of systemic illnesses. Dr Lange sees remarkable improvements in ocular health and general health once his patients make these changes he discusses with them. Dry eye is one of the most common problems patients are plagued with. Dry eye is one ocular condition that can be helped dramatically with proper diet, life style changes and proper supplementation. Dr Lange says there are five things he preaches to his dry eye patients and to his radio listeners on his syndicated talk show “ask the dr”. These five dry eye rules will help just about everyone: 1. Clean the lids, 2. Heat the lids 3. Nutrify the glands 4. Lubricate the eye 5. Hydrate the body. If patients would follow these five steps virtually all dry eye would disappear. This article is going to expand on nitrification of the glands. Most Americans are deficient in Omega 3. Most Americans have an omega index of less than 4. The omega index must be over 8 to gain the heart health benefits of omega 3. The omega index is the ratio of omega 3 to omega 6 in the blood. Too much omega 6 creates inflammation. An omega index over 8 is a therapeutic level. 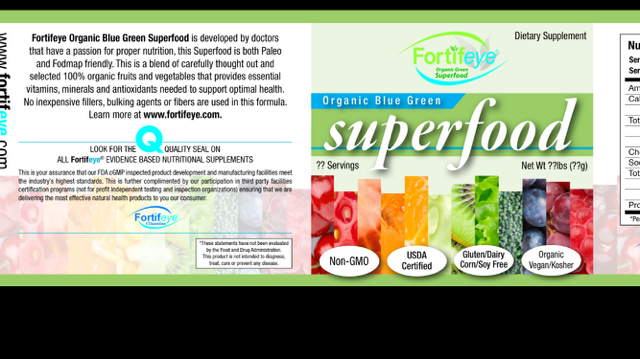 Dr Lange developed a Triglyceride form Omega 3 fish oil called Fortifeye Super Omega that in blood studies has proven to bring the omega index in patients under 250 lbs to between 9.2-11 in a two per day dosing. 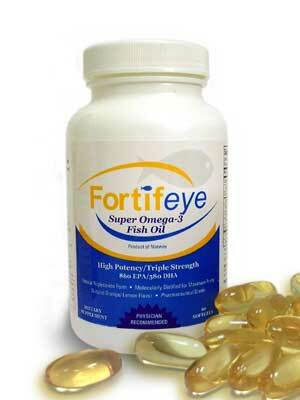 Dr Lange has also used two per day dosing of this fish oil for dry eye patients with great success. Dry eye Syndrome is an inflammatory condition that responds well to the anti inflammatory effects of two per day dosing of Fortifeye Super Omega. The goal is to get a therapeutic dose of omega 3 in just two capsules economically. 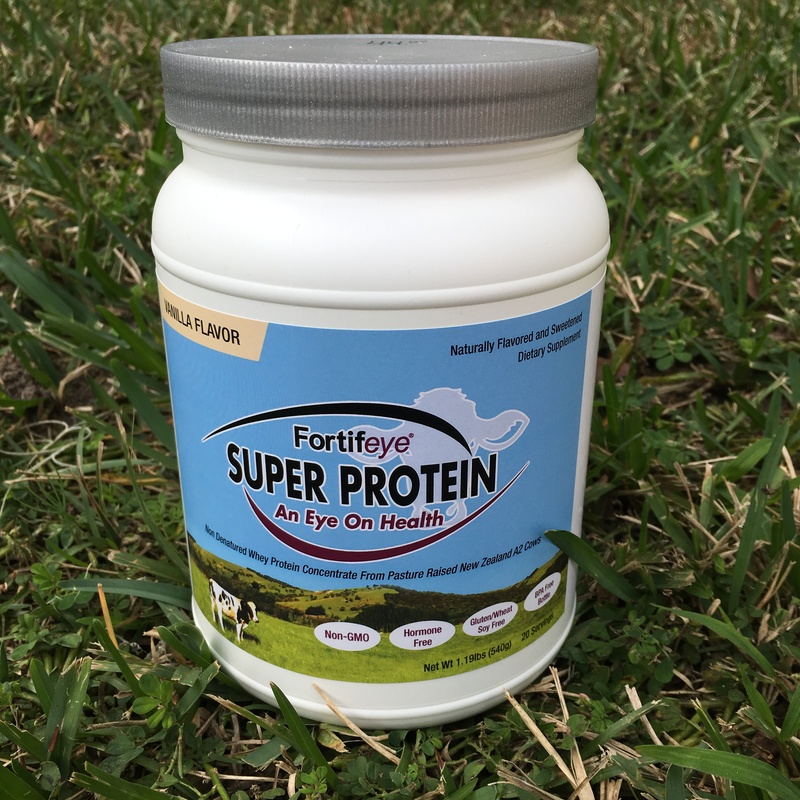 Fortifeye Vitamins sells Fortifeye Super Omega for $27 for 60 gel caps making it the most cost-effective purest Triglyceride form Omega 3 in the industry. Most competitor omega 3 fish oils you can buy OTC have very low levels of Omega 3 (EPA and DHA) and are an inferior less bio available form called ethyl ester fish oil. 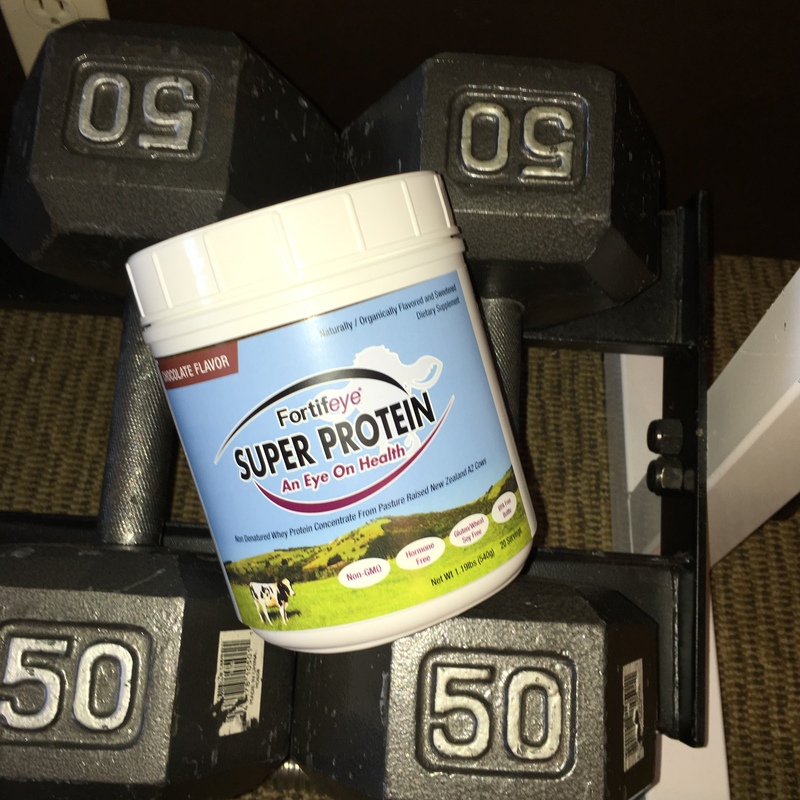 Fortifeye Vitamins and Dr Lange recommend starting off with four Fortifeye Super Omega for the first week and then as long as you weigh less than 240 lbs staying on two per day continuously. 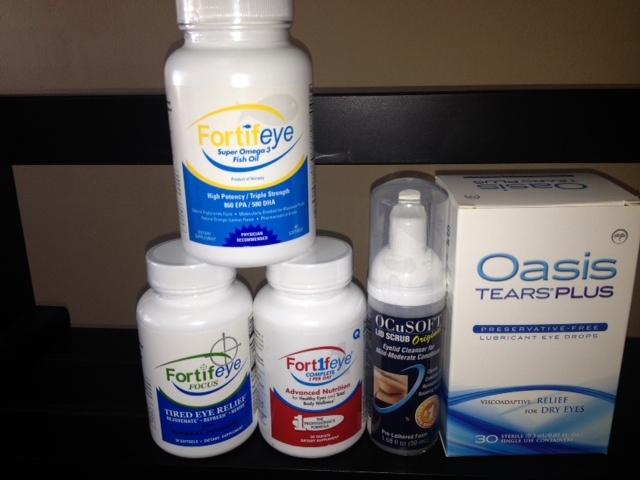 Anyone over 250 lbs should use 2 – 4 Fortifeye Super Omega daily to help reduce the signs and symptoms of dry eye. Omega 3 fish oil is rapidly becoming the standard of care as the treatment of Dry eyes. Omega 3 helps reduce inflammation in the Meibomian glands and allows for a much healthier tear film. Omega 3 also helps to reduce surface inflammation on the cornea. Omega 3 for dry eye is one of the most important steps to becoming symptom free. 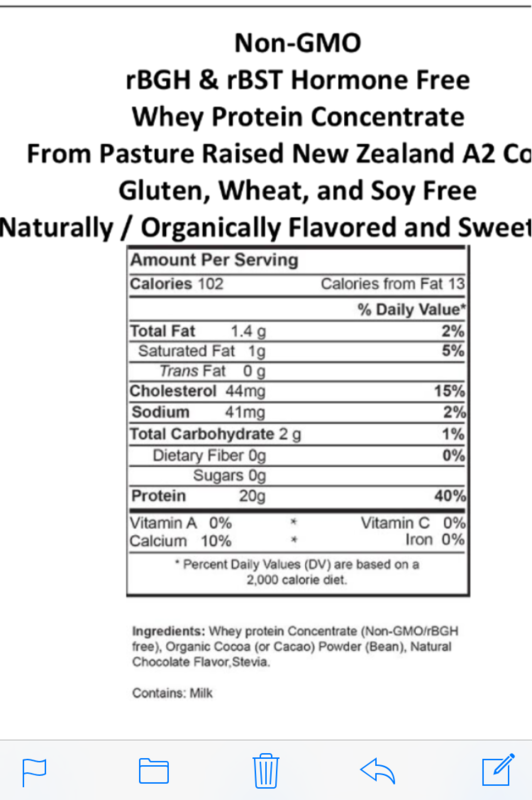 Two more nutritional steps that work synergistically with tg form omega 3 fish oil at reducing dry eye signs and symptoms are the addition of 6 mg of astaxanthin and drinking a non denatured whey protein concentrate from year round grass fed A2 cows. Astaxanthin is the more powerful than lutein or zeaxanthin at quenching free radicals and is also one of the most powerful natural anti inflammatory nutrients. Astaxanthin crosses the blood retinal barrier and actually makes it to the eye. Astaxanthin when combined with omega 3 increases its absorption and benefits. Astaxanthin also improves ciliary muscle functioning ability and thus improves amplitude of accommodation reducing eye fatigue from prolong near point tasks. 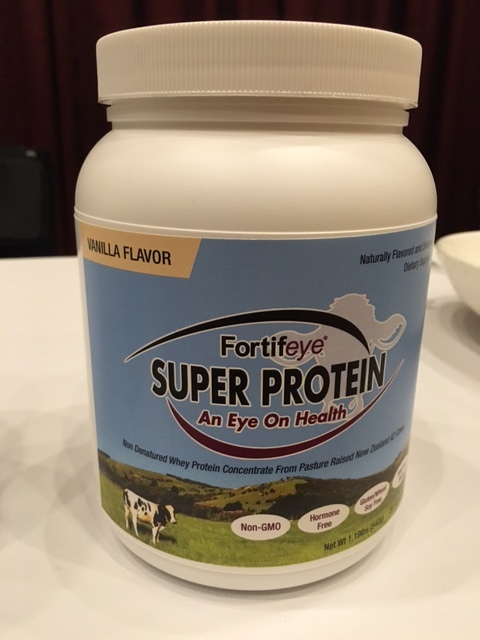 Fortifeye Focus is a combination of Lutein, Zeaxanthin and 6 mg of astaxanthin. There is now ample evidence that the blue violet light from the sun and from man made light and digital apps is harmful to the eye ! The combination of these 3 carotenoids also acts as an internal and external uv / blue violet light filtering mechanism . Dr Lange has seen many dry eye patients gain further benefit with the addition of one Fortifeye Focus gel cap per day.